TripAdvisor released their TripBarometer research and in it they highlighted an opportunity gap for hotels. 44% of travelers are looking to book a package through their hotel, while only 4% of hotels were offering any form of package. A common misconception about packages is that they are only applicable to more traditional “vacation” packages. These packages may be easier to sell, but with a little creativity any property can leverage their surrounding area and offer something unique that sets them apart from their competition. 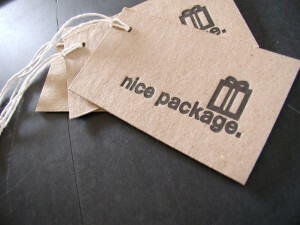 A common misconception about packages is that they must offer a discount for travelers. While those that offer discounts are very attractive, many travelers are looking for the convenience that a package can bring. Besides booking at your hotel, how many transactions are your guests making during their stay? Between their transportation arrangements, 2-3 meals a day and any additional leisure activities they may be interested in, the average guest has a lot of work and planning to do. These transactions can stack up quickly, and a hotel that offers guests a more convenient way to plan their trip has the upper hand on one that doesn’t. Bundling as many of these together as possible can save travelers a lot of time and hassle, which to many, is as important as saving them money. If you’re looking to save your guests both time and money, look into buying admission tickets in bulk where available. This step may require you to pre-purchase tickets before a guest books your packages, but with the added convenience and discounted pricing, selling these isn’t going to be a problem. Theme park or museum admissions are among the most common packages hotels are selling, but your area has much more to offer. If your property is near a movie theater, you can offer discounted movie tickets to your guests. Most movie theaters (or warehouse stores, like Costco) will sell bulk tickets for up to 30% off. These types of add on items don’t need to be exclusive to just packages. Give your desk staff the ability to add them to a guest’s folio and open their availability up to all of your guests. When traveling a lot of guests want to experience the local culture of their destination, and dining packages are a great way for them to do so. Chances are when the guests check in they’re going to ask your front desk staff about where they should eat or where the “locals go.” If these conversations are going on in your hotel, then there is the potential for a package there. Speak with local restaurants and find out what kind of offers they may have available for your hotel, or if they sell gift certificates for you to offer to guests. Maybe your town is famous for barbecue or there are rival restaurants that claim to have the best burgers in the state. Things like this are perfect to build “Tasting Tours” around and let your guests get involved with local tradition or culture. These are just a few ideas of ways to build packages that can build value in your property and entice guests to book. If you’re looking for more ideas to build your packages around, ask your desk staff about the places they are recommending to guests. These are often the key to a successful package and a unique stay for your guests.